Warm weather is here, which means al fresco dining is too! 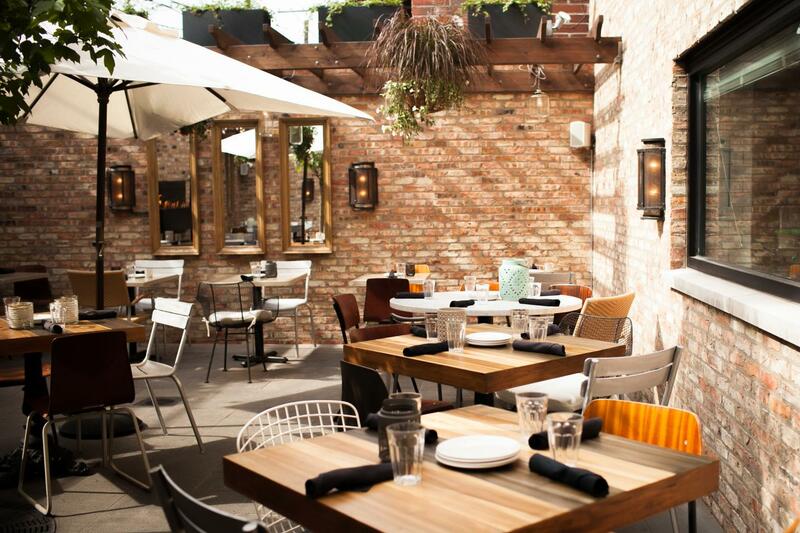 We’ve rounded up the best patios at Lettuce restaurants in Chicago for you to enjoy all spring and summer long. Here is our list of where you should be eating and drinking outside, plus a few new patios opening this season in Chicago. Order from Aba’s full menu of Mediterranean-style cuisine, cocktails and more. Looking to host an event under the string lights? The rooftop patio may also be reserved for semi-private and private dining. The patio is first-come, first-serve. 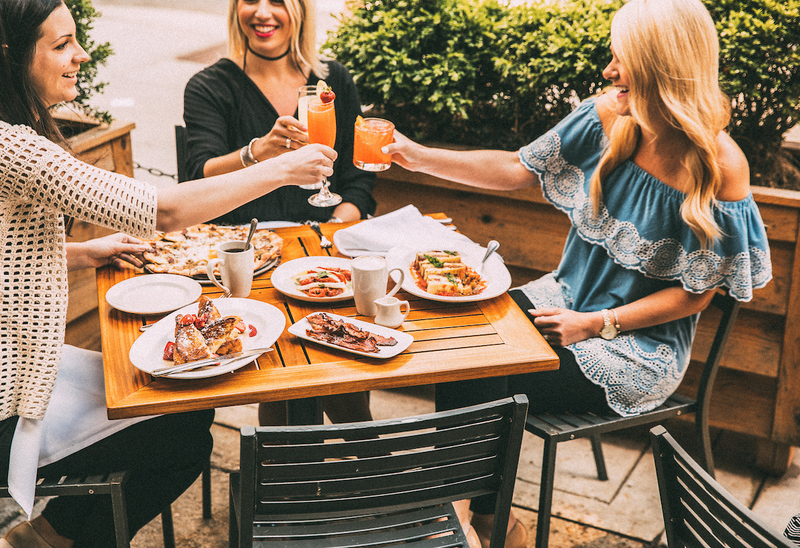 Tucked in Oakbrook Shopping Center, Antico Posto’s patio is the perfect alfresco escape for full-service lunch or dinner. The patio is first-come, first-serve. Bar Ramone’s patio offers rosé, porrón, Pan Con Tomate with Manchego 1 yr., Crispy Spanish Rice, Galacian Octopus and more! The patio is first-come, first-serve. Beatrix’s patio offers Mexican Iced Coffee and Malted Freddo, and the Habenero-Pineapple Margarita and Blueberry Tom Collins made with homemade fresh juices, cocktails, a full wine bar and more. The patio is first-come, first-serve. 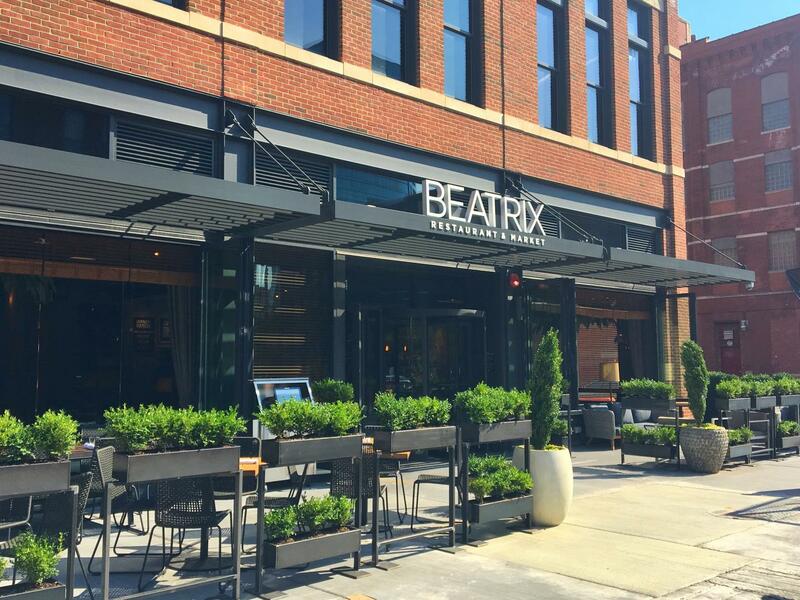 Beatrix’s second location in Streeterville has a 100-seat patio that wraps around the full restaurant. Part of the seating area includes a full lounge area where guests can enjoy their coffee and pastries, or even a glass of wine. The patio is first-come, first-serve. New this season, Beatrix’s third location in Fulton Market is the perfect spot to relax and enjoy coffee, signature cocktails and dishes. The patio is full service and dog-friendly. The patio is first-come, first-serve. 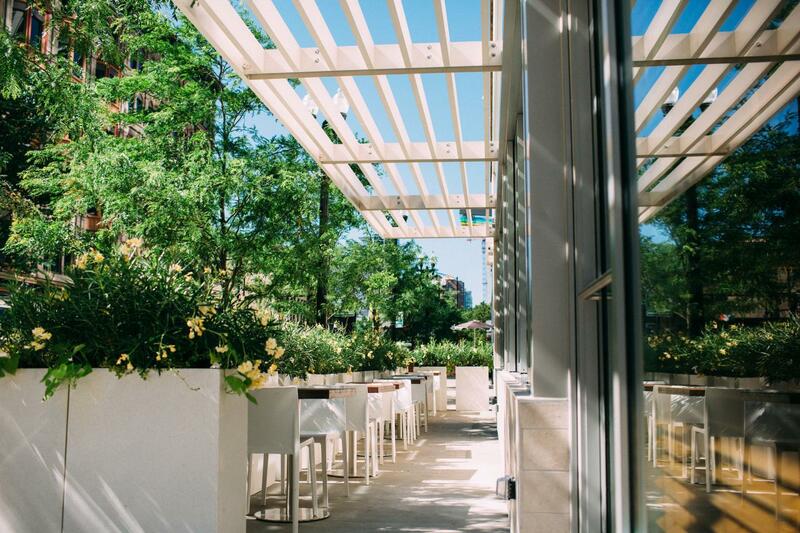 Beatrix – Oak Brook’s brand new patio offers breakfast, lunch, dinner or weekend brunch outdoors on the 60-seat patio all summer long. The patio is first-come, first-serve. Located at the south end of the building, just west of the entrance, Big Bowl Lincolnshire features heaters and lighting on the main section of the patio, along with umbrellas and tables with cushioned seats. Reservations and walk-ins available. Take a seat on our patio with outdoor lighting, umbrellas for the sun and music to set the summer mood. Reservations and walk-ins available. 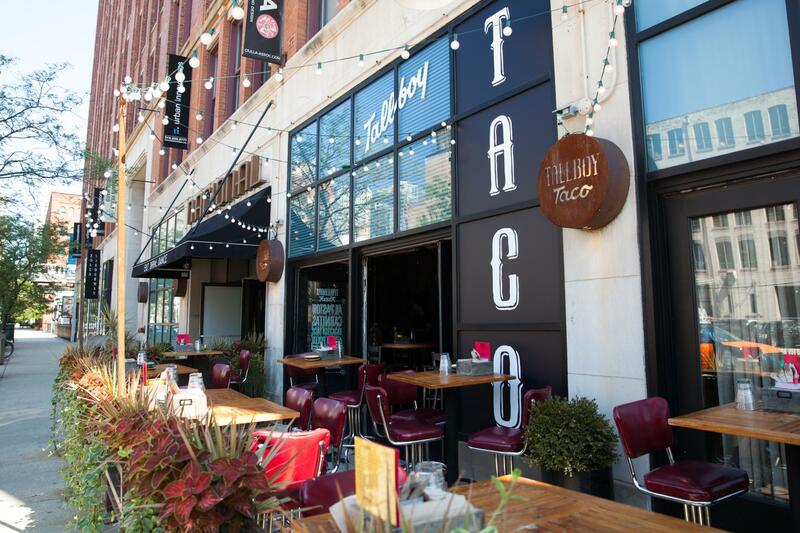 Bub City is the perfect alfresco spot to kick back and relax in River North. Take in a live music performance by an up-and-coming country crooner during the week or for weekend brunch while sipping on a refreshing cocktail, like the signature Back Porch Tea, and noshing on Giddy Up Fries and a Meat & 3 platter. The patio is first-come, first-serve. Enjoy the warmer weather, cocktails and light bites out on Bub City’s patio overlooking the park at Parkway Bank Park in Rosemont. Take in the sounds of summer with live concerts on Tuesdays and Thursdays, plus fireworks every Thursday night following the show. The patio is first-come, first-serve. Cafe Ba-Ba-Reeba!’s outdoor year-round dining space offers tapas, pintxos (small bite-sized tapas), paella, and more. The patio is first-come, first-serve. Whether you’re clinking your wine glass alongside the large windows that open to Clark St., or if you’re outside enjoying a cup of Frozen Greek Yogurt, escape to the Mediterranean this season at Ema! 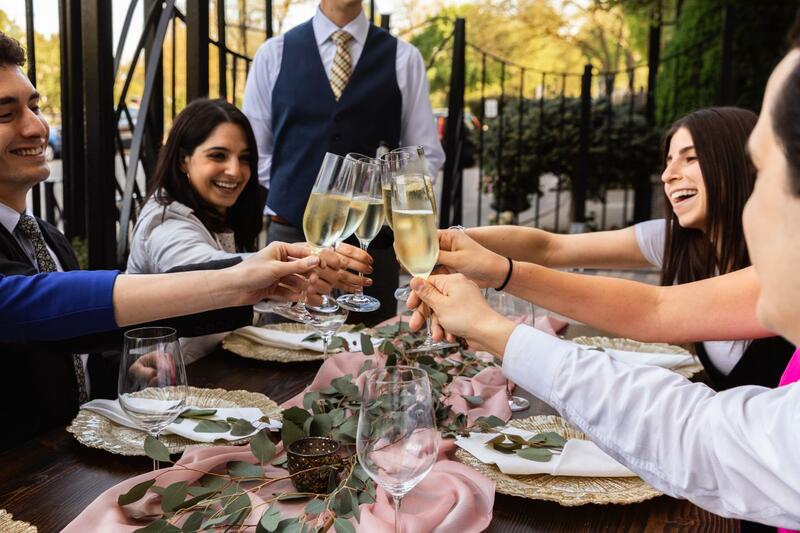 Enjoy favorite mezze plates like Toasted Almond & Garlic Spread, Grilled Octopus, Salmon Kebab and Crispy Potatoes as you relax on the 36-seat patio in the River North neighborhood. The patio is first-come, first-serve. HUB 51’s patio offers signature items, like Famous Pulled Chicken Nachos or the Kale & Grains Salad, craft cocktails made with fresh-squeezed juices and more. The patio is first-come, first-serve. There’s nothing like enjoying barbecue and a fresh cocktail on a patio during the summer at L. Woods. Grab a spot on the 34-seat patio and relax, sip on a beer and enjoy favorites, like the Baby Back Ribs, L. Woods Chopped Salad, Barbecue Beef Brisket Sandwich and more. The patio is first-come, first-serve. M Burger offers an easy-to-navigate menu of juicy Midwestern beef burgers and golden fries perfect for a quick lunch break, an afternoon pit-stop or a casual early-evening bite. Ice cream selections, including chocolate, vanilla and swirl cones, dipped cones, sundaes, floats and shakes are the perfect warm weather treat. The patio is first-come, first-serve. Mon Ami Gabi’s patio offers a bistro bites menu alongside glasses of rosé, wines by the glass and beer, weather permitting. The patio is first-come, first-serve. Mon Ami Gabi’s patio has umbrellas to keep you cool while still being able to relish the sunshine and warm summer breeze. Experience exquisite French bistro fare at Mon Ami Gabi – al fresco! The patio is first-come, first-serve. Osteria Via Stato & Pizzeria Via Stato’s patio offers a full menu of antipasti, pastas, tavern-style pizzas and signature Italian entrées for lunch and dinner. Reservations and walk-ins available. Petterino’s patio is the ultimate spot for people watching in the Chicago loop. Twinkling lights sparkle over white tablecloths, and each table is sheltered from the weather by an awning. The patio is first-come, first-serve. Ramen-san’s patio has four high-top communal tables and is open for both lunch and dinner, weather permitting. The patio is first-come, first-serve. Ramen-san offers four patio tables and is open for both lunch and dinner, weather permitting. The patio is first-come, first-serve. RPM Steak’s patio has five signature-style booths and can seat up to 20 guests amidst planters of greenery and cool RPM style. Open for both lunch and dinner, the booths are covered by an awning, protecting guests from rain or the hot Chicago sun. The patio is first-come, first-serve. The casual river-level restaurant (official name coming soon!) will be opening Summer 2019 and features patio seating for approximately 100. Enjoy rustic Italian specialties in the open air on the front patio. The extended awning enables outdoor dining, rain or shine. The patio is first-come, first-serve. Shaw’s Crab House in Schaumburg offers their full Oyster Bar menu including oysters, sushi, fresh fish, Maine lobster and of course, crab. Shaw’s Oyster Hour and Happy Hour are offered on the patio as well. The patio is first-come, first-serve. Stella Barra’s vintage brick patio has bluestone floors, a six-foot fireplace and hanging lights, with a new retractable roof that opens during warm summer nights – the perfect spot to enjoy Chef Jeff Mahin’s signature pizzas with a cocktail. The patio is first-come, first-serve. Summer House Santa Monica’s patio offers lunch and dinner daily, along with weekend brunch on Saturdays and Sundays from 8:00 AM – 3:00 PM. The patio is first-come, first-serve. Tallboy Taco offers an assortment of tacos for lunch and dinner made with fresh, handmade corn tortillas every day. Tallboy Taco’s menu is comprised of eight varieties, including Beer-Battered Fish, Cowboy 12-Hr Smoked Brisket, Pork Al Pastor, and Veggie Crispy Avocado. Cold tallboys, cocktails and aqua frescas are also available. Reservations and walk-ins available. 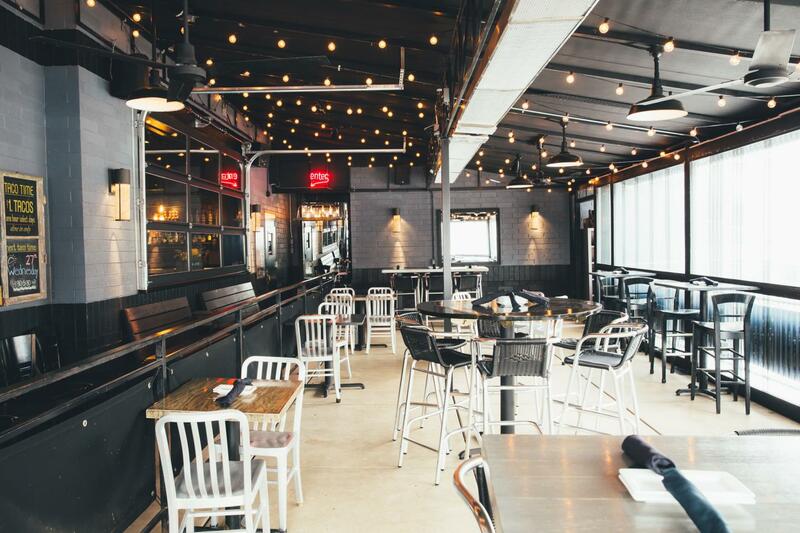 Tokio Pub’s spacious patio is adorned with twinkling string lights. The 40-seat space is the perfect destination for larger parties, a business lunch meeting, and social get together. Tokio Pub’s full menu and happy hour specials are available on the patio. Reservations and walk-ins available. Dine with Wildfire al-fresco style daily on their patio located on the side of the restaurant. Reservations and walk-ins available. Wildfire – Glenview has a spacious patio located off of the Martini Lounge overlooking Lake St. Reservations and walk-ins available. Wow Bao’s patio will offer the signature bao, rice & noodle bowls, potstickers, freshly made ginger ale and more. The patio is first-come, first-serve. Wow Bao’s patio offers the signature bao, rice & noodle bowls, potstickers, freshly made ginger ale and more. The patio is first-come, first-serve.